New series sees aliens arrive on Earth — with a business proposition. 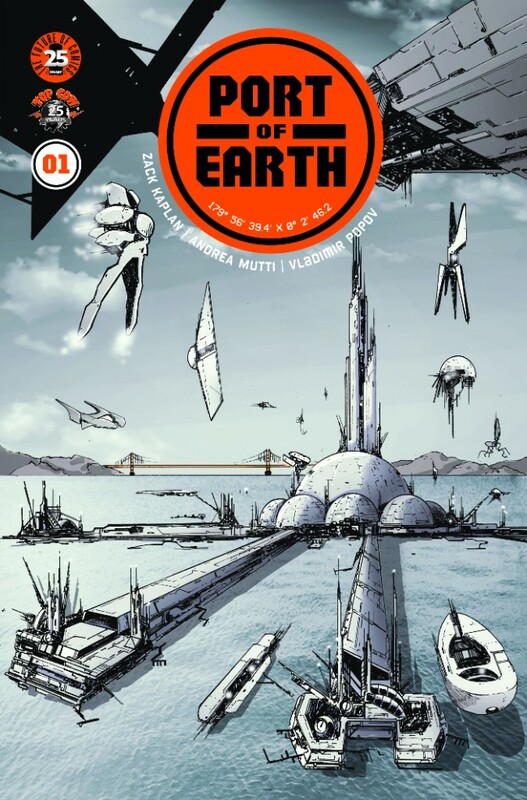 During Comic-Con International, Top Cow announced a “gritty new science fiction series” by Eclipse writer Zack Kaplan and Rebels artist Andrea Mutti called Port of Earth. “After exploring the solar apocalypse in Eclipse—which was just announced to be in development for TV, but more on that later—I’m thrilled to be tackling a very unique alien arrival story with another amazing creative team,” Kaplan said in a press release. In Port of Earth, aliens arrive not to fight or enslave humanity, but to offer them a deal: open up a spaceport on Earth in exchange for advanced technology. But when alien visitors break Port restrictions and wreak havoc in our cities, it falls to the newly formed Earth Security Agency to hunt down and safely deport the dangerous rogue aliens back to the Port of Earth. The series kicks off in November.